@Willem, The guys in Labo down in Bourg, near Mc Donalds did me well when I was out last week, got a great range. But beware, I could have spent thousands in that shop, it's fantastic, so many goodies! Yeah I don't get why they keep on adding beds, it's always seems pretty busy whenever I've been (outside of peak holiday dates). Increasing volumes certainly puts me off from returning. Someone more knowledgeable on this than me recently explained that there is now developing a huge issue in Les Arcs of empty beds. As more and more apartments become privately owned their occupancy rates are dropping hugely so that even though they keep building the actual number of visitors isn't rising dramatically. 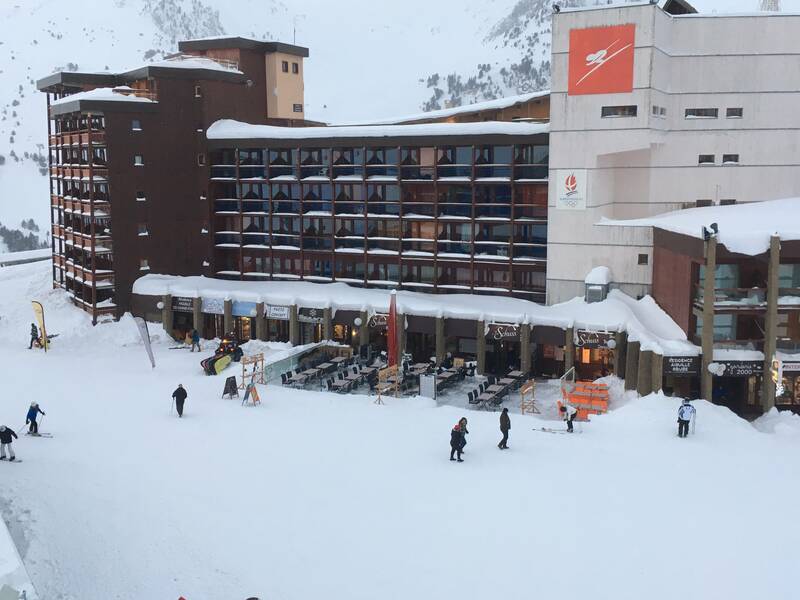 There is some logic to this, however that Club Med will have very high occupancy rates and its huge so will bring big crowds to what has been up until now (Mont Blanc) a lovely quietish area and huge crowds heading down to the lifts in 1600. Thanks for the info, it does make sense, when I look for studios on homeaway in lesarcs there are always so many available in the 1800 region though they often look dated so i'm guessing that the money to be made is in building newer smarter apartments whilst many owner/renters of older apartments aren't doing too much to bring them up to date. That club med looks horrendous though. I'm pretty sure it was there when we were two years ago. I think it was foggy every time we took it, so no gulping required. Wed 10 Jan. The POWDER JUST KEEPS ON COMING!! Today lived up to our expectations! It was another powder day. After a play in Mont Blanc forest and above Arc 1800 we headed over to the La Plagne side and above Les Coches. Spent the rest of the day doing various routes into the valley from the ridge down to Bauches and Les Coches before heading for home. Powder everywhere. For any piste skiers or those that prefer to stay near the piste. Conditions today on piste were excellent everywhere. Near the pistes was also fun and mostly safe as long as you kept away from the steeper slopes. They even managed to open the Varet, Lanchette, Grand Coland Comborciere today. Only Aiguille Rouge to go! For those wanting to go further off piste always have all the safety gear and unless you really do know where you are going, take a guide. Stay safe out there! Anyone wanting to join us for more fun tomorrow, you need to PM me before 9am for meet up details. Enjoy the photos! @alr1970, yes been there for a while, but then snowboarder's never do look both ways! @thefatcontroller, i did not see you! Pity, would have been nice to have had a chat. Wish you had said hello! @snowcrazy, You were busy chatting to others didn't want to interrupt. Its the 1st time we have been on the vanoise in years, since we started boarding we haven't bothered, too much fun to be had in Les Arcs. Were tired today so we skied, always hate how cold you get going from vanoise over to Belle Plagne. 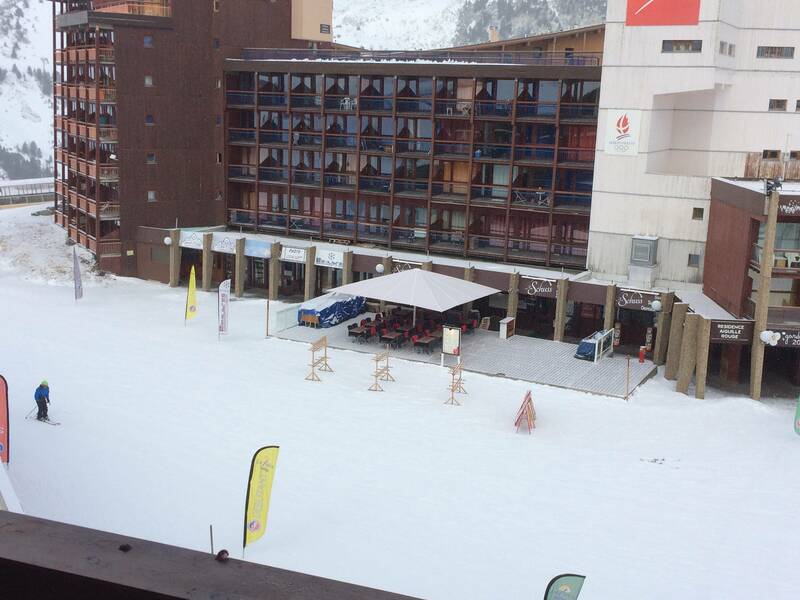 Still snow was great, lets see what tomorrow brings, can see some lazy boarding taking place. We are on our way down, do you know what the access is via the motorway, seems to show closure on A40 from Lyon across to Annecy. Anyone have any strong recommendations for Ski hire in Arc 2000? I’ve never been to Les Arcs and not sure what the transport is like but if anyone has very strong recommendations I don’t mind a bit of travel to rent decent gear. If not I plan to use the Skimium Gentianes Sports store. Cheers! @noako, go for Equilbres : most owners in 2000 and 1950 will rent or buy there. 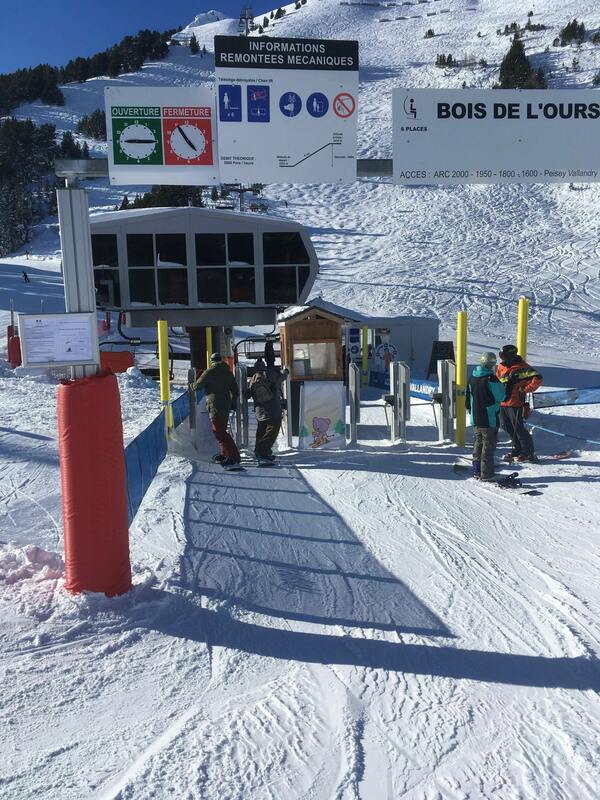 Huge queues once again at the Bois chair. January is hell. Glorious sunshine for most of the day and great snow. Now knackered.. Went there today. Very helpful but didn't have the boots I was after. Thursday 11 Jan. POWDER and FRESH untracked snow again! And so the big storm that past still gives us great powder days! Today we headed into the National Park. First on the untouched slopes of the Lanchette Valley. Had to be very careful on the way in, but once onto the face it was amazing fresh untouched powder the whole way down to where we joined the normal route. Then out avoiding the avalanche debris on firm snow before heading back up the lifts. Then up to the Grand Col and over the back of the Aiguille Rouge. More excellent powder after a testing entrance on very firm steep chalky snow. Not a place to catch an edge. You would fall to the bottom. Once beyond the hard entrance we had fresh untracked powder fields that just went on forever the whole way to the forest. What luck to have the chance to put first tracks in such a beautiful place. Then an even more challenging exit across three avalanche fields. Each one with nasty frozen ice boulders and even a few trees. Not a good place to fall as it hurts! After reaching the lifts and a late lunch before we headed down to the Comborciere chair through the forest. More fun in the soft snow. Then Malgovert to finish an excellent day with more jumps among the cliffs and still a few places to make more fresh tracks. Finally a fast ski back to Arc 1600 and home. Photos from today are posted in the January 2018 Album. Take a look at all the snow we still have! I think this season is going to give us plenty to talk about! Tomorrow more powder beckons. Anyone interested in joining us needs to PM me for meet up details before 9am tomorrow morning. Anyone thinking of doing the routes I have mentioned. Do make sure you know where you are going and have all the arvi safety gear. If unsure take a guide! Stay safe out there!! Lazy day today. Didn't go out util 1pm. Decided to ski as there are runs are runs we won't do on boards (moguls!) and we were tired. Personally find boarding very tiring but much more enjoyable than skiing however when tired on a board you fall more and it really hurts. Anyway plan was to go to Villarogier so up Lanchette, did the mogul field but gave up at the top of the 1st lift out of Villarogier as it had got very icy. Back up into the bowl, down to Pre Saint and up to Transarc via Plagnette. Then headed down to 1800, up carelly, down to 1600, up Mont Blanc, and back home vis cachette, arepette lifts and the lac run which was in glorious nick. We were only out 2 1/2 hours but we didn't stop. Sunny today but bitterly, bitterly cold. Packing now, on Eurostar in the morning. Been a fab week, conditions are best we have seen in many years and I see potential of another storm next week. Safe travels everyone, see y'all again in 8 weeks. Some photos. The wife in the mogul field below the Lanchette chair, huge moguls as normal but they were slightly fluffy. Just off cabriolet lift in 1950 looking at La Ros and the new Pre Saint chair. Friday 12 Jan. And time to head further into the backcountry in search of those perfect powder fields. Today we had a longer trip across Les Arcs and La Plagne to the valley of ice. I believe the world Ice Climbing champs are coming there soon. First some fast piste skiing, then crossing some wind blown hard pack and finally we had arrived. A valley of soft sparkly snow! Just asking to be skied! It did not disappoint. Top to bottom. Fresh tracks the whole way. Then a tricky exit across more avalanche debris and along the cliff path, quite narrow at times down to the valley floor. After a few lifts and more fast skiing we made it to the top of the Roche de Mio. Off the back through the cliifs and a different route all the way back to Banches chair as the normal lines were well skied. Really fun to find this route mostly untracked and with plenty of snow. A few more lifts and down into the Les Coches forest for more soft snow and onto the Vanoise Express. Even four days after the storms the snow is still light and fluffy. 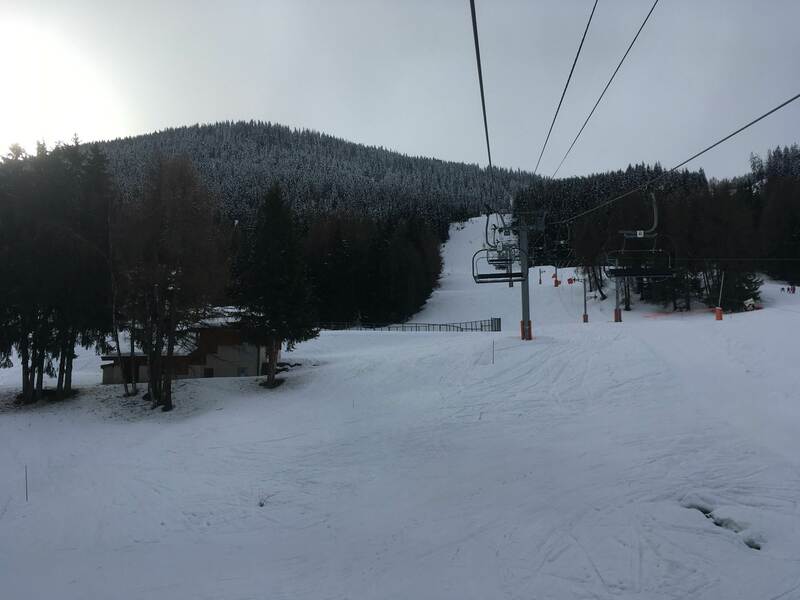 The pistes are all in great conditions and anyone arriving is in for an excellent time with almost all lifts and pistes now open. Take a look at the photos from today in the January 2018 album. Another fun day in the powder. Remember to scroll down towards the end of the album to see the most recent photos. Tomorrow we are planning another big day. Anyone interested in joining us needs to send me a PM before 9am tomorrow morning for meet up details. For anyone driving out or leaving this weekend. The roads right now are clear of snow and ice. Driving should be OK and the traffic will be moderate so hold ups should be less than in the past weeks. Anyone coming out get in touch if you fancy meeting up. Have fun out there and stay safe! Should have asked if the Mont Blanc bar in Vallandry is still an ok drinking spot? I laughed reading this. We did the same thing last year, cursing all the way round.. it went on and on and on.... Made for some very unhappy youngsters! 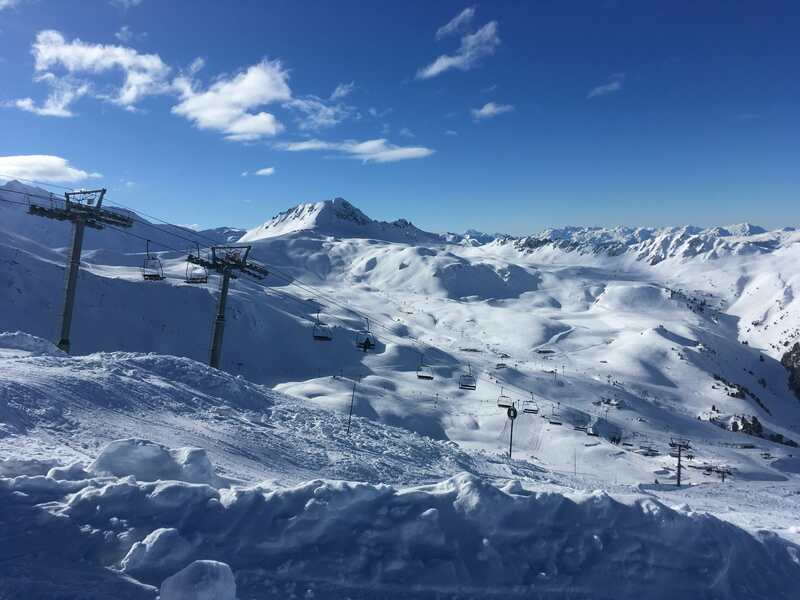 Having taken the day out to get new boots yesterday (when the weather was perfect but my boots were disintegrating) I'm pleased to report that it was another glorious day on the slopes, both here and over in La Plagne. No photos, unfortunately, as my waterproof mobile phone has misted up internally. For those asking about bootfitters in Les Arcs, the bootfitter most frequently recommended by people round here is Labo in Bourg St Maurice (also recommended further up this thread). Add me to those who recommend them - I have some very comfortable (if a bit tight at the moment) new boots which were definitely worth taking time out for. Saturday 13 Jan. And when we thought it could get no better, they opened the Bellecote Glacier! Today was beyond amazing! Having heard the rumour yesterday that the glacier would open today we were on first lifts and up to the glacier before 11am. Then we found out both chairs were still deep in the snow and not likely to be working for some time. Not a problem. Time for some hiking. We managed two laps of the Bellecote bowl. Both times in untracked pristine light powder. From the top of the ridge down to the chair putting our own lines down each time. Amazing!! Then another hike and a detour to the top of the North Face. Looking over into the Cairn Couloir we saw it had just two tracks and looked OK. Taking care all the way down we were able to ski more fresh deep powder all the way to the bottom. It felt great and seemed quite stable. Yes a little nervy at the start, but it was worth every turn. Then a high traverse and into the 'Couloir of Doom' (our name, no idea what the real one is!). We call it this as every time we have done it we find ice at the start. Today was just the same. A very icy entrance, but once in the couloir the powder was great. Finally out into the valley and still powder all the way to the river bed. A fast ski down to the bus stop and back to Peisey for a very late snack before heading to the Altiport for a well earned drink and home. For everyone that enjoys the pistes, they are all in great condition and you can get everywhere now. All those just arriving are going to have a great holiday. Another great day in the sun and powder with tomorrow promising more of the same. The photos from today are posted in the Jan 2018 Album. Take a look at the great conditions we still have. Anyone wanting to join us tomorrow needs to PM me between 8 - 9am in the morning. First days skiing. Stopping in Plan Pesiey at Ski Beats Fleur de Neige just a few yards from the Vanoise Express. Stayed clear all day but a little cold. Bit hazy in the morning but the sun came out in the afternoon over the 1600 and 1800 area. Seemed very quiet except the Arc 2000 bowl. Got the cable car with minimal queing and skied all the way down to Villaroger some of the lower sections quite icey / hard pack but skiable, had a nice lunch at the Ferme. Made my way back up, did Grand Col and then sunshire beckon back over the sunny side. A good first day. @stevew, It sounds like a good first day. I don't know why but it is always a lot busier in the 2000 bowl than the 1800/1600 side, but over christmas we were able to walk straight from the Varet onto the AR cable car which set off immediately. When there is no queue this is a mightly fast lift. It looks to me as if the 1m plus of snow at low levels has been packed really firm by the recent rains and I expect stay as a good base all season. 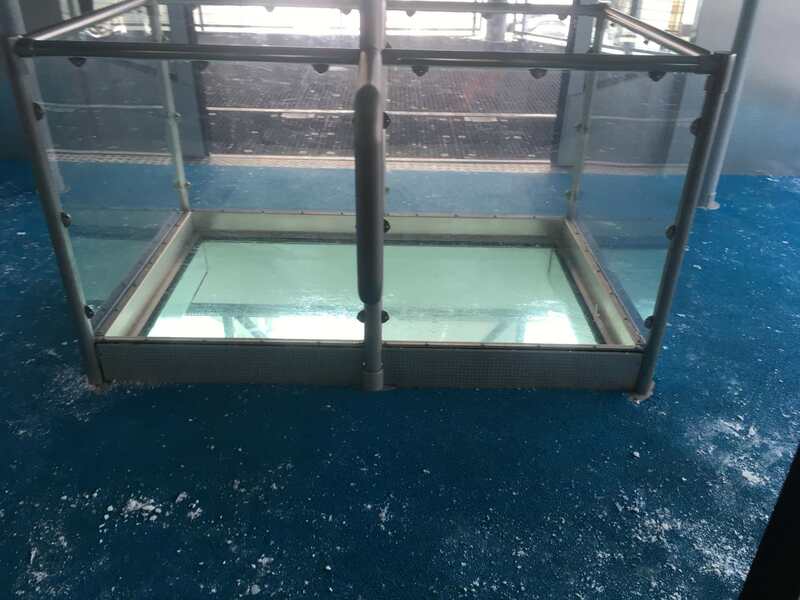 Nevertheless the lifts were mostly walk-on. 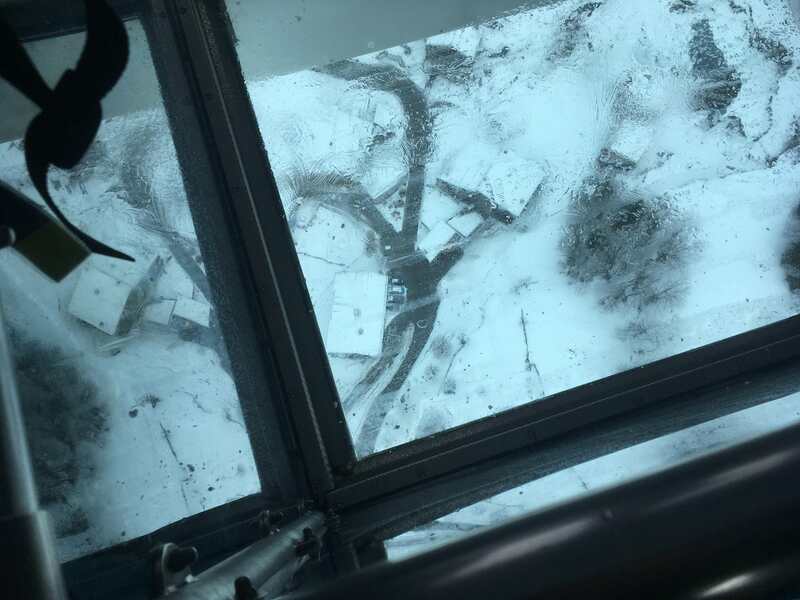 Difficult to imagine what conditions would need to be like to kill the base - I can't remember ever having to clamber quite so far down on to the terrace of the Bulle Bar, and that's before this week's storms add to the total depth. @rob@rar, thanks for the previous recommendation for the Bulle bar - excellent economical stopping point if it's not too crowded. Yes, the lifts were mostly walk on but the pistes did seem to be a tad crowded in places. 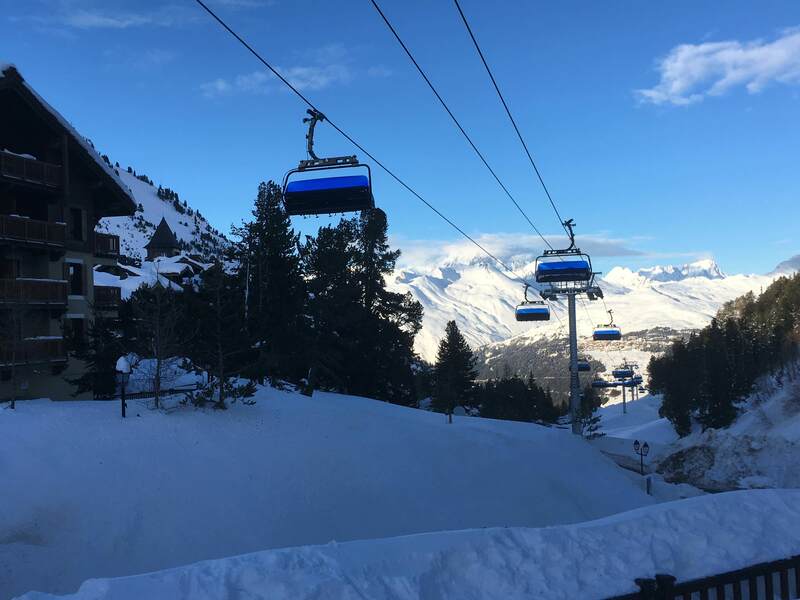 Does Les Arcs get a lot of weekend visitors? Only lift had to queue for a part from AR was new Pre Esprit the run to which was really busy. Afternoon in 1800 area was really quiet. Good day. Sunday 14 Jan. Sun, well sort of! Powder, loads of it again! and more hiking, and even some ice!! 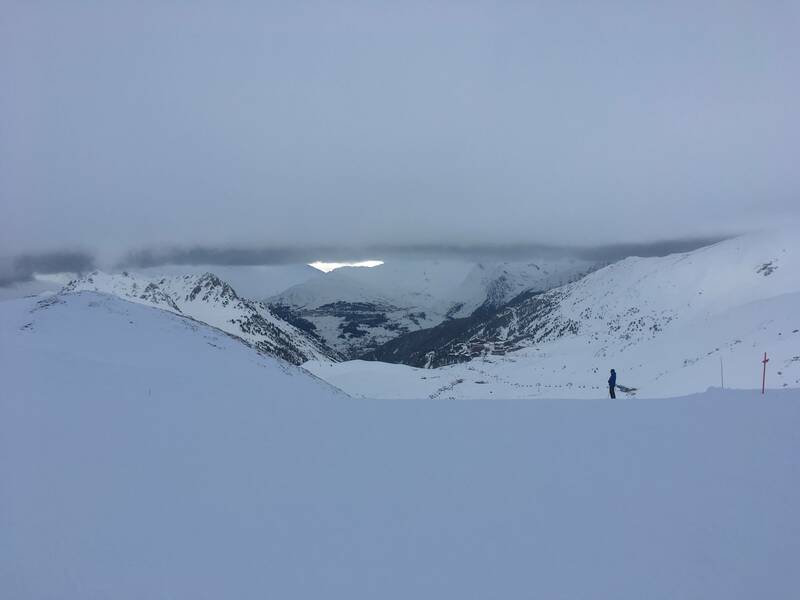 We started in Les Arcs 1600 early and as planned headed across to the Vanoise Express in Peisey on mostly empty pistes and with no lift queues. Then across La Plagne and up onto the Bellecote Glacier. We did two longer routes today. One down the Frilon Bowl and then back up to the Bellecote glacier again and a second route down a variation of the Petit North Face and the bus back to Peisey. Then another fast ski across Les Arcs on piste to the Funicular and home. The resort seemed even quieter today than last week. This is low season and a great time to come out for a ski whilst the kids are in school. Plenty of bargains to be had if you hurry. Even some flights mid week are cheap. Today for a change I shall not write much about our routes. 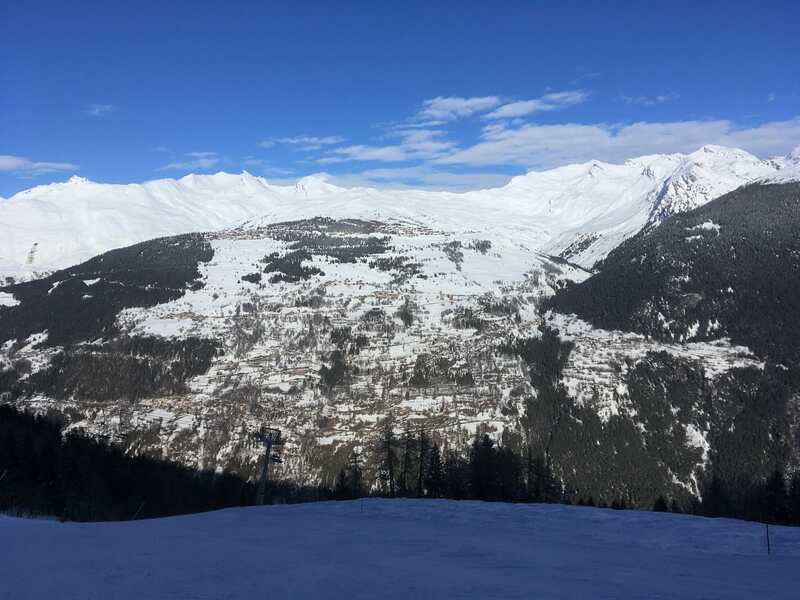 Instead please follow the picture story of our routes today in the January 2018 album on the Les Arcs Winter facebook page. Hope you like them! One thing I do need to add is that today we walked away (well skied) from one of our planned couloirs as the entrance was to dangerous. Always better to come back another day! Never be afraid to say no when you are not sure! Stay safe out there! 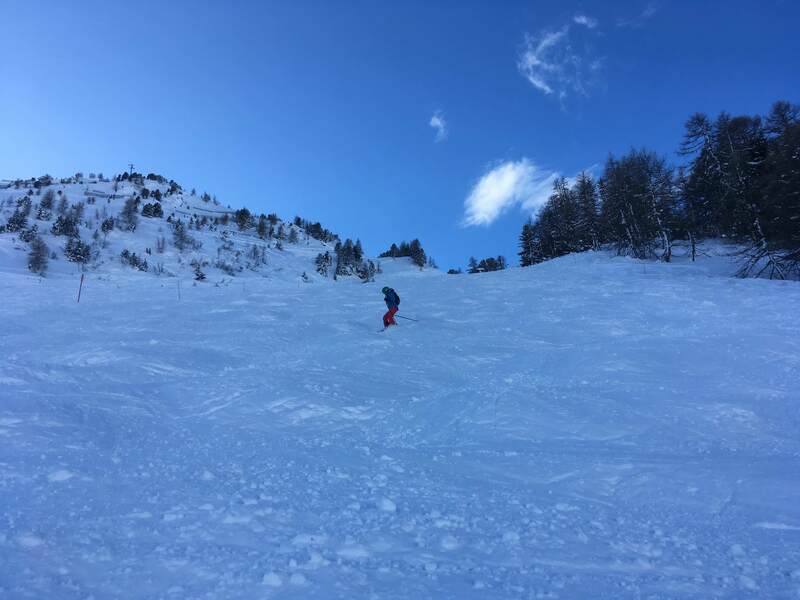 But we did still have a great ski in soft and mostly untracked powder down the whole of the Petit North Face of the Bellecote! I shall be taking a break from posting for a while now so I hope others will fill the void whilst I am busy! Happy Riding! Oh the irony. I spend the weeks before our trip excitedly reading this thread, and then we come out for the week and the only time I turn the laptop on all week is to top up our cards for the final Saturday Samediski rate! Just got back from a great week, with 8 full days skiing thanks to the overnight Eurostar. Even the wet day on Monday had a silver lining - went over to LP first thing, but turned back at the top of the Salla chair because the run back was closed to everyone except people returning to Montchavin and Les Arcs, and the lifties recommended we went back in case more lifts were closed later on. 4 of the 7 of us gave up and went home, but son, husband and I stayed out, sun came out, and we spent nearly 2 hours happily lapping Derby half a dozen times, taking a different route down over the fresh snow each time. Hi all. I am shortly on route to Les Arcs 1800 for a week snowboarding. I have heard mention that LP isn't great for snowboarders due to there being several flat runs. 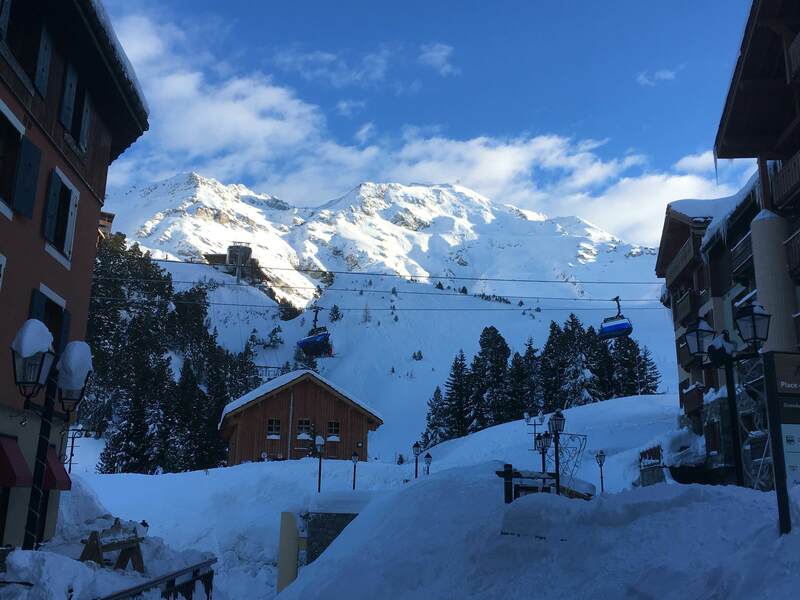 Is there someone in the know, who has suffered the indignity of walking along pistes, board in hand, who can advise which runs are best avoided in Paradiski? Any advice greatly welcomed! 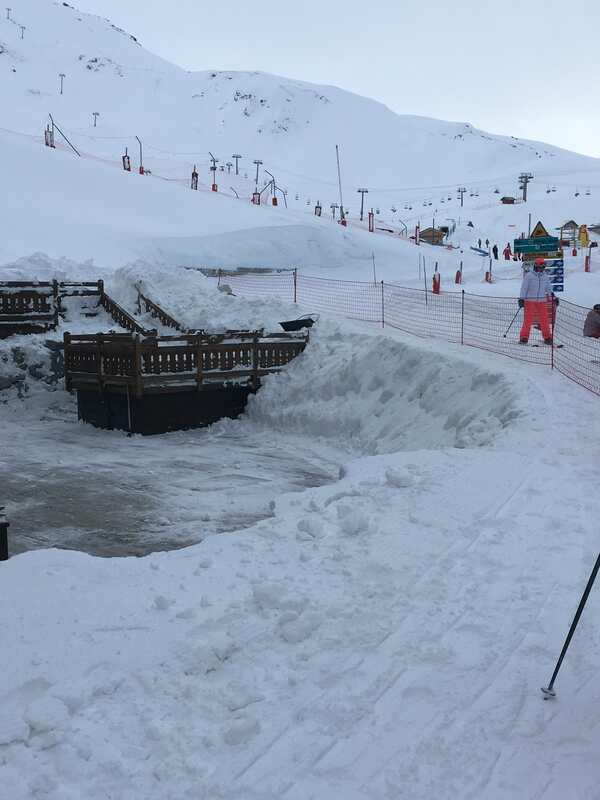 @craigiemack, In Les Arcs there are long paths either way along the mountain front that are only really useful for 'getting from one mini area to another with bothering with uplift. So if you want to avoid them do the uplift and ski down from there. There is a long path to get from Arcubelle (sp?) in 2000 back to the 1800 area. There is another way over further down that can avoid this. @craigiemack, Depends how good a boarder you are? There are some flats in Les Arcs but nothing massive like La PLagne. The one that is a bit of a pain is as you go across to 1600 from the Arpette run, thats a monster but manageable. As an aside there is noticeably less boarders in La Plagne each season.